A five person ECA team took part in a charity event hosted by the United Way of Allegheny County, in partnership with fitUnited and Sandler Training. The Build-a-Bike Challenge event took place at the FedEx Great Hall in Heinz Field on Thursday, September 18th. 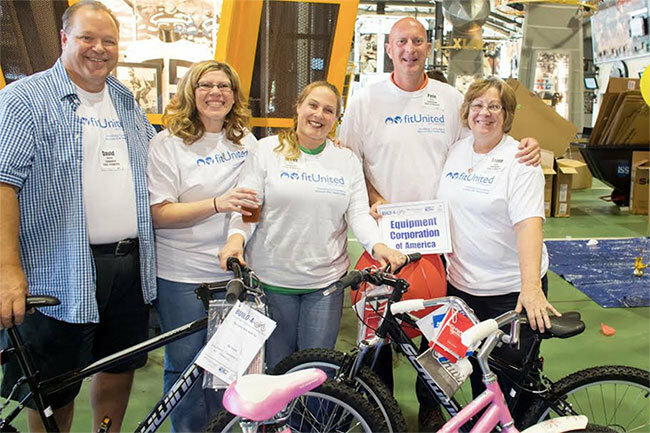 In this innovative, philanthropic, team building opportunity, 23 teams volunteered to build bikes for local deserving youths. Each team was given the directions, tools and components to assemble bikes from scratch. After each team assembled two to three bikes, they were inspected by factory experts. Later the bicycles were personally presented by the teams to 50 middle school students from The Center That Cares in the Hill District of Pittsburgh. The children were also fitted with helmets donated by Kohl’s Hard Heads.